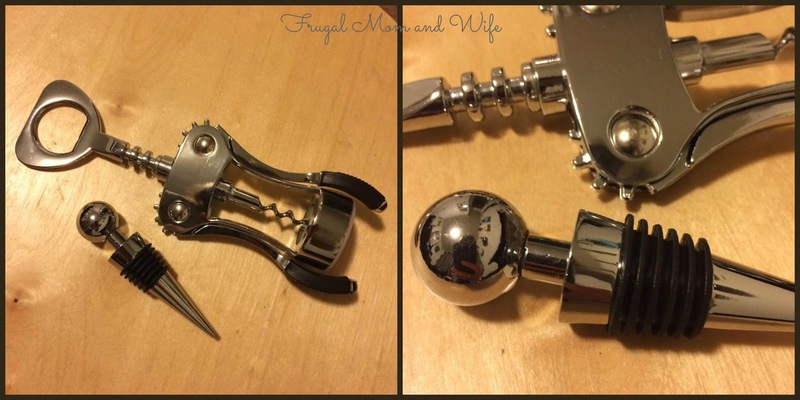 Frugal Mom and Wife: Select Culinary Premium Corkscrew and Wine Stopper Set Review! 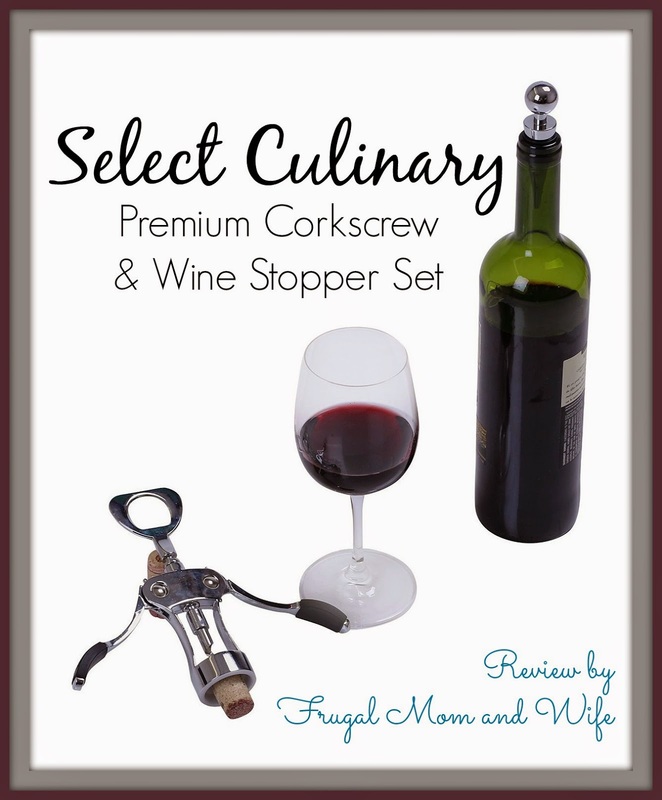 Select Culinary Premium Corkscrew and Wine Stopper Set Review! When shopping for kitchen gadgets I always want the most for my money. At the same time the price must justified by it's overall durability, functionality and quality. I want something that will hold up to it's purpose. For some reason through the years corkscrews and I never saw eye to eye. I just could never get them to budge. I really needed the extra help and I wanted to do it on my own. I have been through a corkscrew or two and stumbled on some rather adorable ones. Only for them to rust, bend, snap, hurt my hand or just not work. Yes I have come across a few that get the job done but at a price. When I came across the Select Culinary Corkscrew and Wine Stopper Set I honestly thought it would be another gorgeous set ready to take advantage of me. I am so glad I was wrong. - Durable: Manufactured using the finest quality stainless steel to prevent rusting and to increase the durability of the corkscrew and wine stopper. - Effective Handling: The Butterfly design of the cork-screw, makes it easy to grip the unfolding wings while drilling and allows for effective pulling while removing the cork. - Foolproof: The high-end winged design and opening mechanism, ensures the safety of the bottleneck. - This premium corkscrew and wine stopper set, is not only easy to use but also dishwasher safe making it extremely convenient to use. - After enjoying your share of wine, you could use the bottle stopper to close the bottle until the next use. The bottle stopper fits most wine bottles. The corkscrew also serves as a beer bottle cap opener. 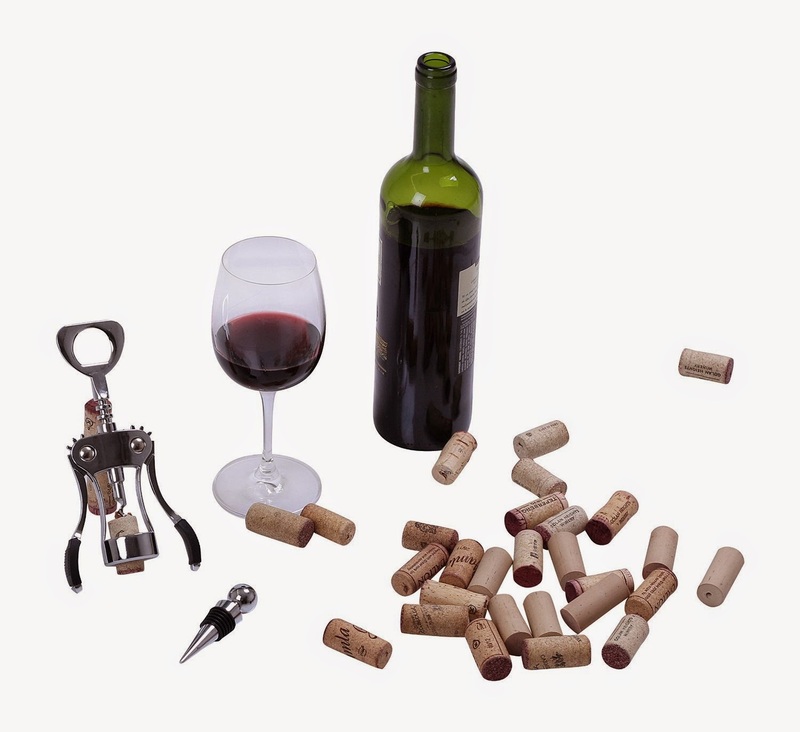 This premium corkscrew and wine stopper set functions as a wine bottle opener, beer bottle opener, wine bottle stopper. The simple butterfly corkscrew design makes it easy to handle and convenient to use. Made from premium quality stainless steel, this premium corkscrew and wine stopper set is durable, lightweight and portable. The set is resistant to staining, requires little or no maintenance and is dishwasher safe as well. Wow, they had me at dishwasher safe! 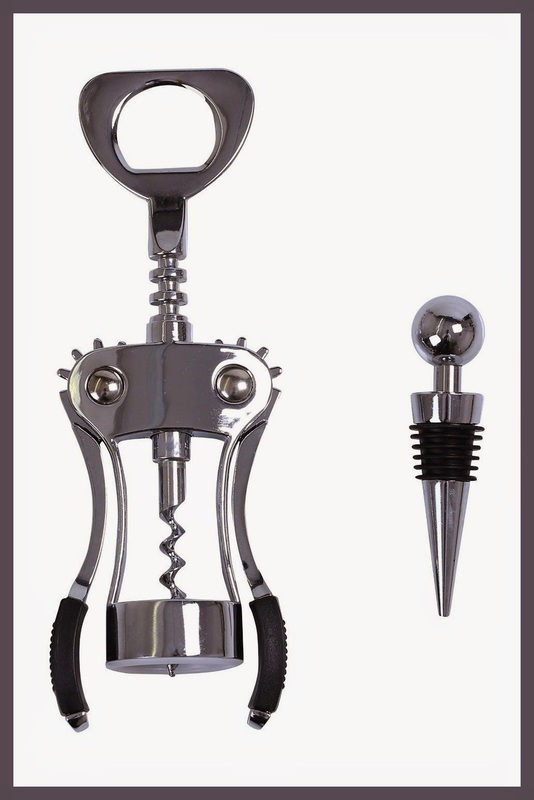 The stainless steel corkscrew set features a well chiseled drilling needle that accurately drills into wine corks, making it easier to open and stop bottles. Simply drill the needle into the cork, and with the application of a little force, pull out the corkscrew using the wings as handles. It is perfect for bartenders, waiters and regular individuals like myself. I get the extra help I need to get my bottle open without the hand injury. This set is sure to impress with it's elegant style and stunning performance. This is a beautiful set. This would be wonderful to give as a gift to a wine lover. I love the stylish stopper,completely agree with it being a great gift for someone. This would make the perfect gift for my Mom. At her age it is not easy to open anything and she is always complaining about it. This might make her feel a bit better. We're always looking for ways to save every drop of wine we can! lol The wine stopper set looks perfect for us. Great gift idea! Very nice looking corkscrew set. I've had the same experience as you in the past with corkscrews. So glad this one didn't turn out the same for you. This is exactly what I need. I just broke my corkscrew and need to replace it!